The first summer after the Alaska Board of Fisheries reconfigured Upper Cook Inlet commercial drift fishing regulations to ensure more adequate spawning escapements of salmon to Northern Cook Inlet streams, and to provide a more reasonable opportunity for Northern User groups to harvest some of the Inlet’s salmon bounty, Knik Arm silver salmon stocks have arrived in streams in some of the best numbers in the past six years. On August 6th, the Alaska Department of Fish and Game issued an emergency order increasing the coho salmon bag limit to three per day in Fish Creek, Cottonwood Creek and Wasilla Creek (Rabbit Slough). In addition, these weekend only fisheries have been expanded to allow salmon fishing on Saturdays, Sundays and Mondays for the remainder of the season. The changes went into effect August 9. Note: the 6 a.m. to 6 p.m. fishing hours remain in effect. A documented strong coho salmon return through Fish Creek weir and the correlation between Fish Creek, Cottonwood Creek, and Wasilla Creek coho salmon were the reasons an emergency order providing additional harvest and opportunity could be issued. We’re in the middle of our Little Susinta River coho salmon fishing and it’s been good. As of August 5 more than 6,000 coho salmon had already swam upstream of the Little Susitna River weir. Bait fishing opened August 6th on Little Susitna River with a throng of anglers up and fishing before the first rays of daylight in hopes of catching some of the Mat-Su Valley’s largest silver salmon. On Wednesday many families were out catching silver salmon on the river. 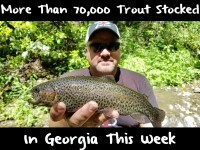 Most anglers (especially boat anglers) were returning with heavy stringers or coolers of fish. According to Pat Donelson of I Fish Alaska Guide Service, larger schools of silver salmon are now available at the Deshka RIver mouth, although warm weather and water conditions have made getting bites and catching fish difficult at times. 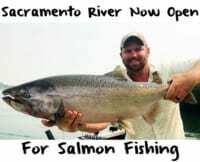 Expect the cooler temperatures and often cloudy weather of late August to kick the Deshka River coho salmon fishery to a higher catch and harvest level. Lloyd McDaniels gave me a good report of catching limits of silver salmon from a Parks Highway tributary of the Susitna River a few weeks ago and fishing for and catching silver salmon on these streams should only improve. The Mat-Su Valley is in the heart of its best silver salmon fishing. Expect good Mat-Su silver salmon fishing to continue on through the month of August. However, new fishing regulations adopted by the Alaska Board of Fisheries should also provide greater instream abundances of silver salmon throughout the entire month. Some of the hope that Mat-Su angler’s had for 2014 being a better coho salmon fishing season has been coming true, but it is not just a matter of more coho salmon returning to Knik Arm streams, anglers are also seeing and catching larger average sized coho. 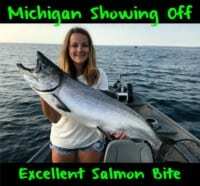 Fish have been in prime shape as well, with seemingly higher percentages of clean salmon with little or no net mark burns. The fishery has been providing a much appreciated economic infusion for many businesses in the Mat-Su Valley. Coho salmon are available in many streams throughout the Mat-Su Valley and are known for their willingness to strike both salmon roe (I use Pautzke’s Fire Cure) and artificial lures, although roe is often considered most effective by many Mat-Su Anglers. More coho are caught by Mat-Su anglers than any other salmon species. These fish provide fine table fare as well. When using the right techniques and fishing some of the Mat-Su’s better silver salmon waters it is my opinion that catching these fine sport fish can be nearly as easy as catching stocked trout. The huge difference is fish size. Where most stocked trout may run 12 inches, silvers from most Mat-Su Valley fisheries average five-to-six pounds, with some weighing over 13 pounds. If you have never experienced the thrill of catching one of these salmon, or even if you have, right now is the best opportunity in years to catch some Mat-Su coho salmon. Editor’s Note: Andy Couch owns and operates Fishtale River Guides http://www.fish4salmon.com/ and is a member of the Matanuska – Susitna Borough Fish and Wildlife Commission.